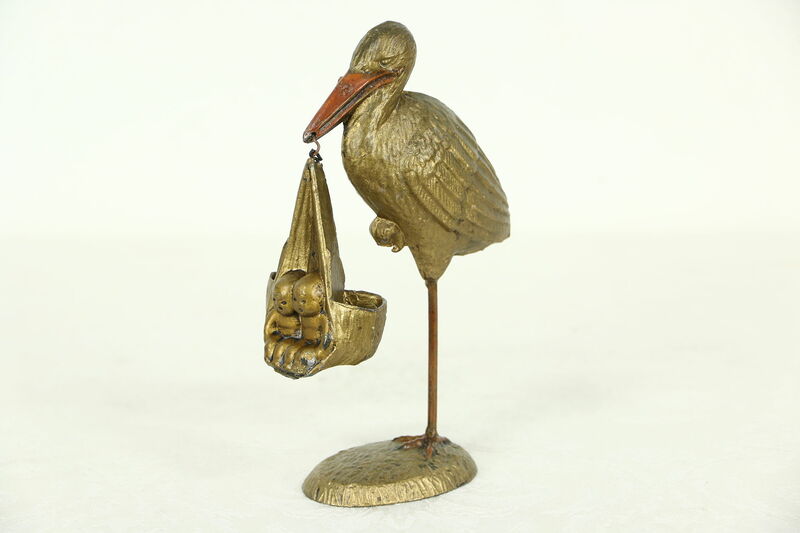 A charming statue of a stork carries a pouch with twin babies hanging from its beak. This antique unsigned sculpture is cast spelter, a white metal alloy similar to pewter with original hand painting from the early 1900's. Pockets next to the babies are match and toothpick holders, inscribed "Take Your Match, Take Your Pick." Measurements of this whimsical art object are 4" x 2" and 6" tall.